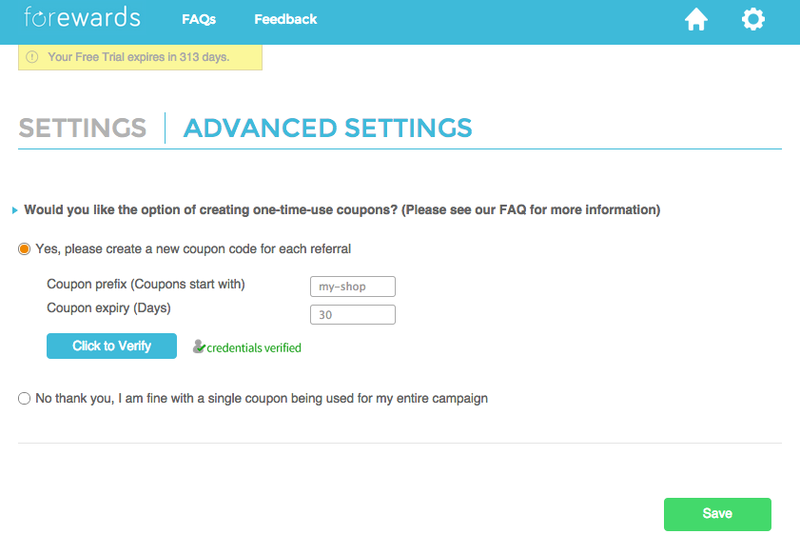 Advanced features allow busy ecommerce entrepreneurs to set up and launch effective customer referral programs in seconds. "When today’s consumers are in the market for a new product or looking to discover new stores, they turn to friends, coworkers and family members for sincere referrals and recommendations"
Forewards, announced today the launch of a new version of their referral marketing software for Shopify. Forewards’ straightforward interface and campaign configuration eliminates the need to spend hours on design and copywriting, and instead allows businesses to focus on what they know best, their customers. Research from Mckinsey & Company has shown that word of mouth is the primary factor behind 50 percent of all purchasing decisions, and that consumer-to-consumer word of mouth can generate two times the sales of traditional advertising. "When today’s consumers are in the market for a new product or looking to discover new stores, they turn to friends, coworkers and family members for sincere referrals and recommendations," says Peter Lee, CEO Forewards. "Most customers are willing to share great experiences. Forewards helps Shopify businesses leverage these fans by turning them into an extension of their marketing. We have been fortunate to work with a number of amazing online businesses with their word-of-mouth programs and look forward to growing the pool of store that can use Forewards with these new features." Forewards makes it easy for small business owners, like you, to improve your online marketing efforts by embracing the power of customer referrals. We built our own business through word of mouth and know the power of customers referring other customers. That’s why we’ve made Forewards the easiest, most effective way to reward your loyal customers for helping you share your brand online.